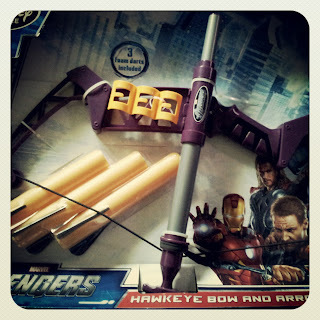 I'm quite a Marvel movie fan and with the release of The Avengers I had noticed the Disney Store had filled up with the latest character products. 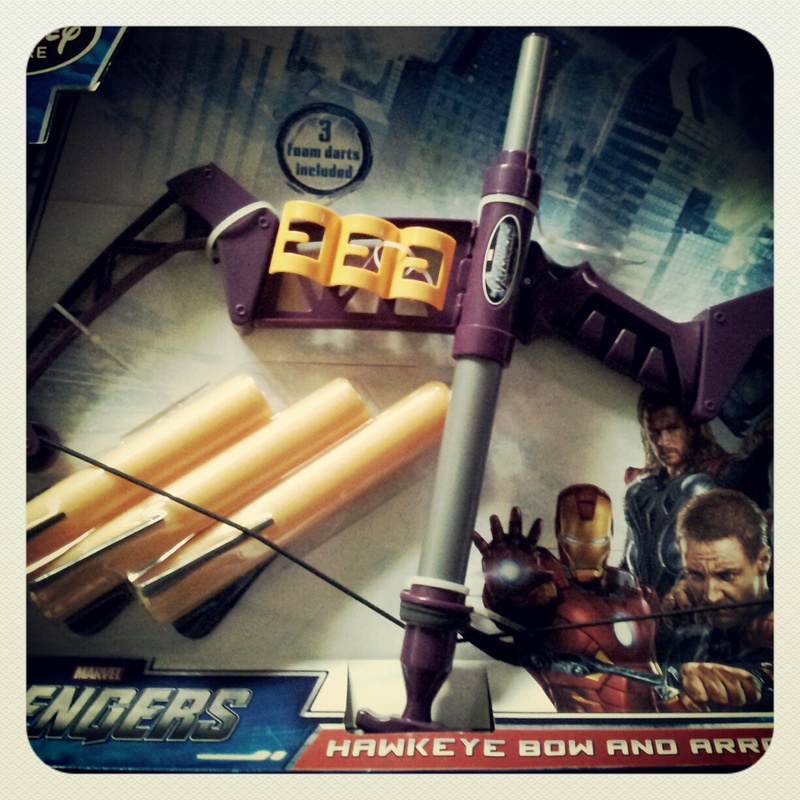 I'd purchased my eldest Mini Me some clothes on my shopping trip but I hadn't got the Lil Mini Me anything so I decided to purchase one of these bad boys; a Hawkeye bow and arrow. It was only when I got home I feared for my safety and that of everyone else's! To be fair, there hasn't been any breakages as yet or eye injuries!